George III, one of England’s most illustrious monarchs, was crowned King at the age of 22 on September 22, 1761. He ascended the throne almost a year earlier when his grandfather, George II, died (on the toilet due to an incipient aortic aneurysm) at the age of 76. George III was the longest reigning British monarch until his granddaughter Queen Victoria came along. Born in London on June 4, 1738, George III was the third British king from the House of Hanover, but the first to be born in England. Prince George was detested by his father Frederick, Prince of Wales, who favored his brother Prince Edward. 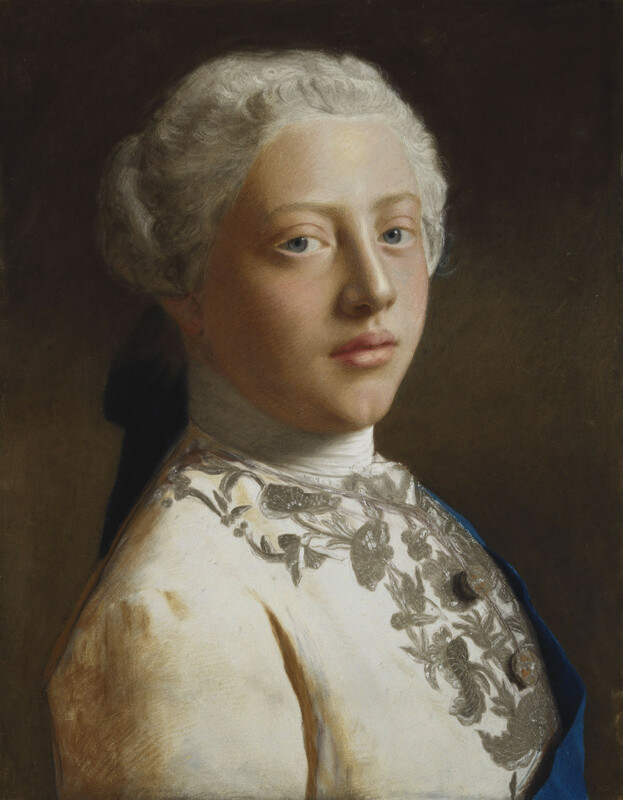 However, his father died in 1752, making him his grandfather, King George II’s, heir apparent at age 12. 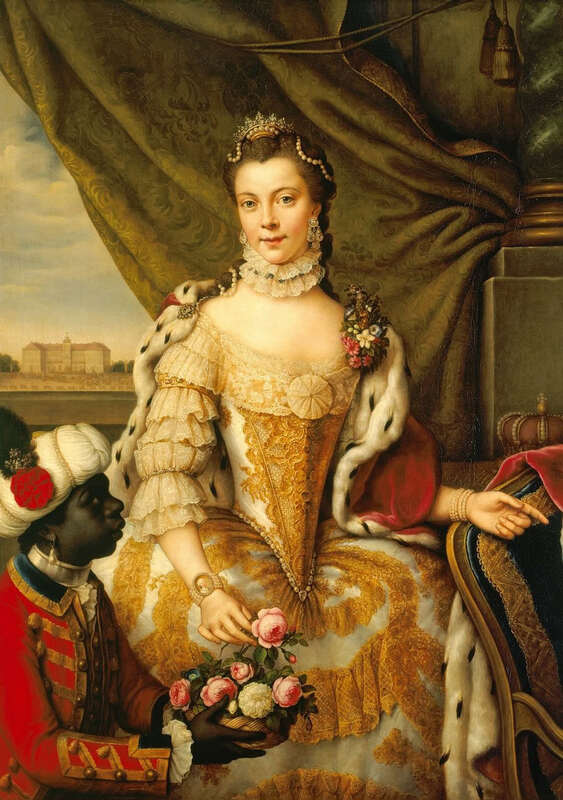 When old George II died in October 1760, the new King needed a queen by his side to provide those much needed heirs and spares. 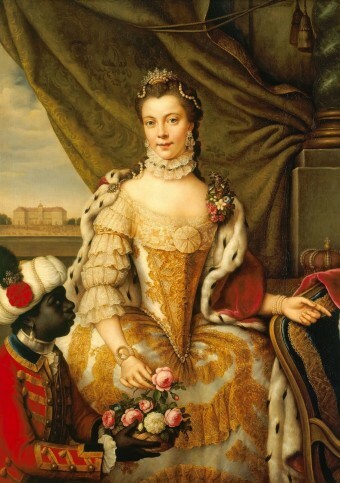 The 17-year-old princess Charlotte of Mecklenburg-Strelitz was sent over from Germany to do the job. The young couple met for the first time on their wedding day. Luckily they hit it off, produced 15 kids, and had a reportedly happy union. Two weeks later, on September 22, 1761, the coronation took place at Westminster Abbey. This was the social event of the year, causing serious carriage jams outside the Abbey as people rushed to see the popular young king and his consort anointed and crowned. Unlike his father and grandfather who were Lutherans born in Germany, the English-born George III was a sincere Anglican that never left British soil. He was thrifty, conscientious and a good family man. George was also cultured and educated, and amassed an impressive collection of books that later formed the nucleus of the national library. He was responsible for the purchase of Buckingham Palace, which he intended as a family retreat, a major legacy that he left for British Royal Family. Another legacy he left, though not as welcome, was the loss of the American colonies. It all began in 1775 when New England initiated an armed uprising demanding independence from the mother country. This led to a long and costly war that caused him to be demonized by the Revolutionaries and some of his own ministers to believe he fought a losing battle too long. King George took the loss of such a large amount of territory badly, but remained a very popular king among his subjects in Britain nonetheless. In 1788, he endured his first episode of insanity, what is now believed to be the result of the genetic disease porphyria. His son George, Prince of Wales, acted as regent for the first time until the King could once again resume his duties. In the 1790s England went to war with revolutionary France while they were also dealing with a rebellion in Ireland. King George presided over the unification of the British and Irish parliaments in 1800, creating the United Kingdom of Great Britain and Ireland. King Louis XVI of France was guillotined by the revolutionaries in 1793. Ten years later, Napoleon Bonaparte was preparing to invade England, only to be defeated by Admiral Horatio Nelson at the Battle Trafalgar in 1805 at which point King George and Lord Nelson were both celebrated by the British people as war heroes. George III celebrated his Golden Jubilee (50 years on the throne) in 1809. However, his mental state and health quickly deteriorated soon after, and in February 1811 his son George was again appointed as regent, this time permanently. The King was mercifully unaware when his beloved wife Charlotte died in 1818. He lived secluded at Windsor Castle, blind, deaf and reportedly completely insane, until his death on January 29, 1820 at the age of 81.